Programs & resources for parents of teens. The Ben Gurion Society (BGS) recognizes young adult leadership ages 21 to 45 who demonstrate community leadership and give a gift of $1,000 or more to their local Federation’s Annual Campaign. Ten non-stop days in the Holy Land traveling with fellow Detroiters. All the makings of an incredible adventure. Join the NEXTGen Detroit movement and make your mark in the exciting transformation and growth of Jewish Detroit. Learn about different travel opportunities for what you want to do. Our culture is full of traditions and holidays, rich history, diversity and really good food — and we’re celebrating it! Whether you’re expecting, searching for the best pre-school or preparing for a bar or bat mitzvah, we've got your back. Career building opportunities for business owners, recent grads and everyone in between. Think of NEXTGen Detroit as that really outgoing friend who is always thinking of cool things to do and introducing you to awesome people. 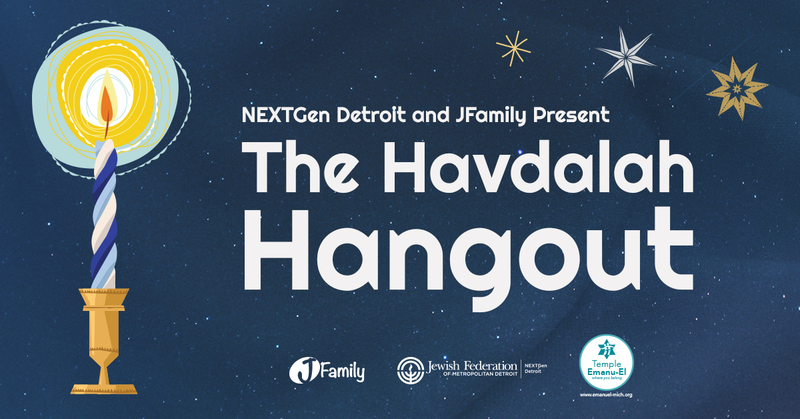 Are you a Jewish teenager looking for fun opportunities to get involved in the Metro Detroit community? Maybe you want to spend a year studying in Israel? Or maybe you are looking for a new summer camp? Well, look no further! Below you will find a guide to day schools, summer camps, college resources, trips to Israel, volunteer opportunities and so much more. Akiva Hebrew Day School – Yeshivat Akiva is an N-12 Orthodox Zionist day school, committed to providing both a comprehensive Jewish as well as secular education in a vibrant atmosphere of Torah values and academic challenge. Akiva seeks to imbue its students with a love for Jewish heritage, the State of Israel and its people, together with an intense commitment to the Torah way of life. The Frankel Jewish academy is a high school that functions as both an academic and religious institution. It is built upon a dual curriculum of the highest-level college preparatory general studies and classical text-based Jewish studies while operating within a framework of Jewish law. Our mission is to provide an environment that both educates toward and engenders an appreciation of living a traditional Jewish lifestyle, a relationship with God, and a commitment to the Jewish people, the State of Israel, and the United States. Beginning with the early childhood center, Hillel Day School seamlessly incorporates Jewish ethics and values into the lives of its students. HDS students come from a wide range of Jewish backgrounds and affiliations. Both Hillel families and the school work together to create a welcoming community filled with respect for different levels of religious practice. The mission of Hillel – to inspire a passion for learning, responsibility to self and community, and devotion to Jewish living – reaches beyond the classroom. The mission of Yeshiva Beth Yehudah, Detroit’s largest Jewish Day School, is to maintain schools which promote in their students love of learning Torah, love of Eretz Yisrael, the values of a Torah way of life, and midos tovos; which provide Torah education in accordance with Orthodox Jewish law (halacha), and exemplary secular education in accordance with the standards prescribed by the State of Michigan and best practices nationwide. Yeshivat Darchei Torah is dedicated to the highest ideals and standards of Torah education. The goal is to develop the full potential of each and every student, while inculcating them with good character traits and a true love of Torah. Their professional and warm teachers, a uniquely developed curriculum and creative educational techniques, combine to create the ideal learning environment. Taglit-Birthright Israel provides a gift of a peer group, educational trip to Israel for Jewish young adults ages 18 to 26 from around the world. Taglit wants young Jewish people to come to Israel, see it, experience it, talk about it, and think about what Israel means for them and the Jewish people. The mission is an in depth, 4.5 week educational, experiential program in Israel. It is held every two years; the next one will be in 2016. The Michigan teens travel with Israeli teens from the region for the entire mission. They will enjoy home hospitality, experience JFMD’s funded programs first hand, and create long lasting relationships. The leading provider of travel programs for Jewish high school and middle school teens. Passport trips span destinations on five continents and combine elements of active touring, community service, and meaningful Jewish experiences. These programs embrace pluralistic values and prior involvement with B BBYO is not necessary. With a wide array of unique and fully-loaded programs, you can: explore Israel with your friends from Young Judaea on Machon, make new friends and meet Israel’s top entrepreneurs on Discovery, or learn how to effectively advocate for the land you love on I Speak Israel. All of these adventures were carefully tailored to highlight the best that Israel has to offer through the frame of our renowned programming. The NFTY High School in Israel – Eisendrath International Experience (EIE) is a semester long (four months) program for high school students in grades 10-12 in Israel. EIE students have a unique opportunity to benefit from experiential learning. Tiyulim (field trips) are taken to visit whatever they are learning about in the Jewish history class as well as numerous week long trips throughout the semester. AMHSI is a pluralistic, college-prep, international study abroad program for high school students where the land of Israel is a living classroom. 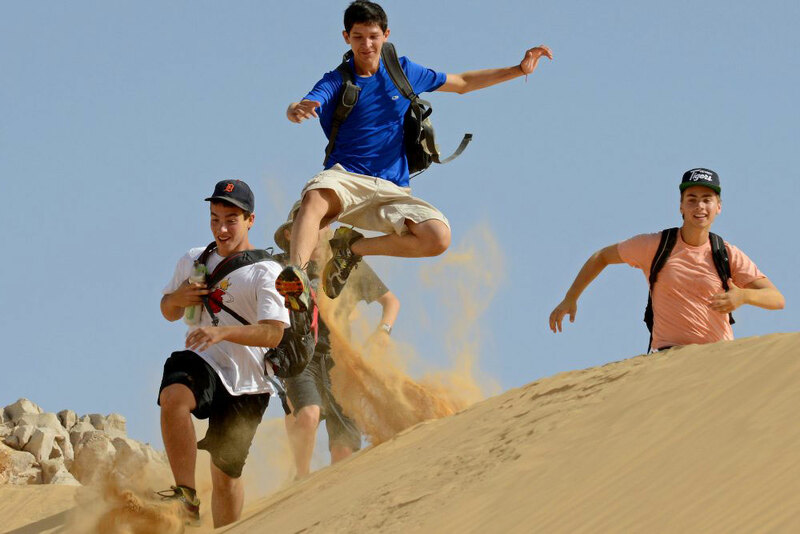 Students experience the core curriculum, taught by renowned Israel core educators, as they explore 4,000 years of Jewish and Israel history by climbing Masada with the Romans, fighting the Crusaders at Belvoir, or hearing the mystics at Tzfat. Students also continue with their general studies courses in small classes with experienced teachers. The Stephen H. Schulman Millennium Fund provides financial aid to Jewish youth in Jewish youth groups for leadership opportunities. Youths may apply for up to two scholarships per calendar year. Funding is based on financial need. Youths can receive up to one third of the total cost per opportunity. Year Program: (for high school grads) 9-month university program in Israel – based half the year in Jerusalem and half the year in Tel Aviv. Students delve into Israeli society on a multitude of levels and explore Judaism and Israel’s rich heritage and culture. Students may earn credit for the coursework done while participating in the program. Aardvark International: Perfect for students who love Israel and who love to travel, combing immersion into Israeli society, volunteering, and learning, with EIGHT exciting different countries throughout the world, experience their cultures, and meet the local Jewish community. Semester Program: Offers students that cannot spend a full year away from home the same great program. Selecting either Tel Aviv or Jerusalem, students intimately get to know Israel through living, volunteering, and learning. Offers up to a full semester of college credit. Selah – Aardvark Year Program (High School Graduates): A dynamic Jewish learning program for students who are seeking a deeper approach to the study of Judaism in Israel. The Selah track supplements the popular Aardvark Israel Gap Year Program with unique and intensive Jewish educational elements. The program’s mission is to develop a cadre of creative, young Jewish leaders inspired by Torah Lishmah, motivated by a love of the Jewish People, and enthused by the rebirth of Medinat Yisrael. An Israel-based year enrichment program designed for Jewish students following their high school graduation. Participants can choose between a 5-month or 9-month experience. Beyond weaves together academic study, leadership development, community service, educational travel, and Jewish life experiences in Israel. Beyond is a project of BBYO and is open to Jewish young adults of all backgrounds and nationalities. Social Action and Study in Tel Aviv is a Gap-Year program for Jewish high school graduates ages 18-19. BINA offers a unique opportunity to experience real life with Israeli young adults in Tel Aviv; Israel’s most exciting city. Participants will engage in meaningful social action in the community in which they live, and explore the Jewish bookshelf from a pluralistic and progressive perspective. 5-month and 10-month programs available. Habonim Dror’s 9-month gap year program in Israel is known as Workshop. The program is divided into 4 segments: Boneh, Kaveret, Ofek and Poland Trip. Throughout these periods, the group engages in a number of seminars, hiking trips and educational excursions. The Boneh segment combines study, work and community to create an atmosphere conducive to individual and group expression. On Kaveret, life is built around messima (roughly translated as volunteer work), where we take social responsibility over our surroundings. The participants take on this responsibility through working in schools and after school programs. Ofek is a chance for the participants to explore Israel while developing an area of their own interest. Each participant is able to choose from several options, each one designed to enhance their ability as leaders. Options might include an agricultural work experience, a study at a secular Jewish yeshiva in Tel Aviv, an ulpan (Hebrew language) course or a backpacking hike (tiyul). During the spring, the group takes a week-long trip to Poland. They visit many important historical sites from the Holocaust. Kivunim’s college-age program inspires its students to forge a lifelong relationship with Israel and the Jewish People through our travels across the world – gaining understanding of Jewish life and history together with that of the many cultures, religions and worldviews amongst whom the Jewish people grew in its 2000 year Diaspora. Our international travels build and deepen Jewish identity within the context of an emerging sense of “world-consciousness” both as Jews and as citizens of the world. Intrigued by the opportunity to spend a semester or year experiencing another culture, volunteering, interning, studying, developing your Jewish identity or having an adventure before you head off to college? A gap year in Israel with Masa Israel Journey offers college-bound high school graduates the opportunity to acquire a global perspective and to gain a taste of independent living all while having an incredible Israel experience. A challenging academic program dedicated to creating and inspiring the Conservative Jewish leaders of tomorrow. Nativ, which means “path” in Hebrew, provides a unique opportunity to explore new directions on the journey to becoming a Jewish adult. From September to May, Nativ participants are immersed in the rich and diverse society of Israel, exploring the land and enjoying a fulfilling Conservative Jewish lifestyle. Young Judea Year Course, the original gap year in Israel, gives you the opportunity to step out into the world, gain valuable life experience and skills, and begin the transition to independence. Students earn up to 30 college credits while learning Hebrew, participating in life changing volunteer activities, and living with peers from the United States, Israel and around the world. What if someone gave you $50,000 and said “Take this money and use it to make our community a better place.” What would YOU do? Each year, Jewish teens from Metro Detroit will answer this question together as grantmakers for the Jewish Fund Teen Board. Creative camps are one week long each and allow children to choose whatever activity they love best. Each camp includes dedicated time for the specialty, plus swimming. Sports camps are one week long each and allow children to choose whatever activity they love best. Each camp includes dedicated time for the specialty, plus swimming. This high-intensity (and incredibly FUN!) music and theatre variety camp offers every child a chance to shine onstage. Whether a beginner or an experienced performer, each camper is showcased in acting, singing and/or dance solos, as well as scene work for large and small groups. All elements focus on the child’s strengths, skills and areas of interest. A day may include games, terms, history stories, talent shows, auditions and experience onstage and backstage. The JCC Maccabi Games, established in 1982, is the world’s largest organized sports program for Jewish teens. The Games were designed to provide Jewish youth with a supportive environment that fosters mutual respect and sportsmanship, where they can interact in an atmosphere of fun, democracy and peace; to cultivate a deeper understanding and instill an appreciation of Jewish values within Jewish youth, enrich their Jewish identity in an informal setting and encourage their identification with the State of Israel; and to promote and encourage the health, physical fitness and well-being of Jewish youth through participation in recreational and athletic activities. Are you motivated, hardworking and responsible? Do you enjoy being with children and helping them become well-rounded individuals? Do you have good leadership skills, self-confidence and the ability to work as part of a team? Are you looking for diverse experiences? If yes, then a summer camp counselor job might be the right choice for you! If your child is ready for new friends, new experiences and adventures of a lifetime, these camps are certain to fit the bill! Combining the incredible facilities and programming of our campus with the best venues in the area, participants make four trips a week such as the Joe Dumars Fieldhouse, CJ Barrymore’s, water parks, canoeing, laser tag, Tigers’ games, an awesome overnight and more! At Agree, we develop wilderness and leadership skills, self-confidence, group dynamics, the warmth and fellowship found in Jewish camps and life-long friendships. Agree living is rustic – you will live in one of 4 cabins and have full use of showers, the lodge, the sauna, and other amenities of base camp. Agree campers will go on two expended backcountry wilderness trips. The first is a spectacular eight-day hiking trip along the beautiful northern shore of Lake Superior and the second is a six-day, deep woods canoeing adventure in the lakes and rivers surrounding the camp. There are no clocks or watches, which allows our schedule to be flexible. Experience the Last Frontier, hike the Chilkoot Trail, a historic Klondike Gold Rush trail, kayak in Resurrection Bay near Seward, ice climb on a glacier, fish for salmon in the Pacific Ocean, walk on the famous Mendenhall Glacier and explore Banff and Jasper National Parks in the Canadian Rockies. Additional highlights of the program include a five-day backcountry hiking trip on the Chilkoot Trail, an overnight sea kayaking trip, and a challenging three-day backpacking trip in the Pinnell Mountain Range. Campers will realize the values of Jewish identity, Jewish community, leadership, personal and communal growth. The remote forests and stark beauty of Michigan’s Upper Peninsula will be at your fingertips while living in former Governor Green’s hunting lodge, which overlooks the shores of Nevins Lake. There, with no clocks or modern technology to distract you, you’ll find plenty of time to swim and learn how to expertly canoe and camp out. The highlights of the program include a backpacking trip on the trails of the Pictured Rocks National Lakeshore and a thrilling canoe trip in Canada’s majestic wilderness. Climb the Grand Tetons, go white water rafting, explore the famous geysers of Yellowstone National Park. Each bus will travel throughout the western United States with a group of 25 campers and six staff members, hiking and camping during the five-week trip. The values of Jewish identity, Jewish community, personal and communal growth, play out each and every day in a multitude of environments. Campers on the Western Trip visits amazing state and national parks, including Rocky Mountain National Park in Colorado, Arches National Park, Zion National Park and Goblin Valley State Park in Utah, Yosemite National Park in California and Yellowstone and Grand Teton National Parks in Wyoming. Campers have an opportunity to go white water rafting in Colorado and mountain biking in Utah. In addition to the many great day hikes, campers will go on two, three-day backpacking trips, one in the Rockies and the other in Yosemite. A reform Jewish summer camp in Cleveland, Georgie serving children entering grades 3 to 12. URJ Camp Coleman allows our children to live a wholly Jewish life while at camp. Campers can experience Jewish culture and tradition while in a safe, challenging and fun environment. 2 week, 4 week and 8 week summer session options available. GUCI is a Reform Jewish Movement summer camp that includes creative and experiential Jewish education, arts, sports, and swimming activities. Each session includes special programs, trips out of camp, arts, sports, study, and recreation, Tikkun Olam, amazing Shabbat celebrations, creative Jewish, educational programs and experiences. Kallah is our main camp program combining outdoor camp activities with spirit building Jewish experiences. The results are sessions filled with Ruach (spirit) and enthusiasm, learning and living Reform Judaism, creating and growing with best friends from around the our Midwest region. A reform Jewish summer camp in Ontario, Canada for children in grades 2 to 11. Through informal Jewish education, the Arts, a state-of-the-art Waterfront program, an intense Ropes Challenge Course, and great athletic facilities, Camp George offers campers an experience of a lifetime. A reform Jewish sports camp in Greensboro, North Carolina for children entering grades 4 to 11. At 6 Points, Jewish athletes participate in top-level sports training alongside the beloved traditions of reform Jewish camping. Kids learn the following 6 core values during their time at camp: Community – Kehilla; Respect – Kavod; Courage – Gevura; Compassion – Hemla; Diligence – Haritzut; Humility – Anovah. Camp Tavor’s mission is to provide an inclusive community where kids have fun being themselves while developing a strong sense of social and environmental responsibility, a caring connection with Israel, and a positive personal Jewish identity. Sessions include 5 day overnight-camp programs available to campers entering 3rd, 4th, or 5th grades. 3 week and 8 week sessions available. Mitzvah Corps allows Reform Jewish teens to experience social action at its best. Our program combines direct hands-on involvement in communities that need the energy, dedication, and love that youth provide with programs rooted in Jewish social and ethical issues. Participants have the chance to live communally with other teens while engaging in meaningful social justice work and having fun! Participants can choose from 5 program locations domestically and abroad. Climb Masada at sunrise, float in the Dead Sea, snorkel in the Red Sea, walk on the walls of the old city of Jerusalem, ride a camel, camp in the desert, meet Israeli teens, wander through the alleyways of the mystical city of Safed, make your pilgrimage to Jerusalem, and visit the Kotel – the Western Wall. Along the way, you will appreciate and understand intimately the importance of Israel in modern Jewish life. Experience this unforgettable summer of fun, friendship, personal discovery, and exciting Jewish growth! Before you leave for Israel, you’ll select a “Chavaya” – special interest – module and during your stay. You’ll spend four fun-filled days pursuing your own interests while also making new friends from other NFTY groups. Choose from Yam L’Yam (Sea to Sea), Tikkun Olam (Repairing the World in Israel), Indiana Jones in Israel (Archeological Dig), Gadna (Army Training), and Start Up Nation (Hi-Tech Israel). Known for a warm Jewish community, Kutz gather teens from all over North America, Israel and other parts of the world in a college-campus style environment for a summer of fun, friendship and learning. The Kutz’s program is designed for each young person to explore his or her area of interest, whether it be Songleading, Social Action, Jewish Business Ethics, the Arts, NFTY and Temple Youth Group Leadership, TEVA – Outdoor Experience, Jewish Learning or Mitzvah Corps. As the camping arm of the North American Conservative Movement, all aspects of the Ramah experience are built on a solid foundation of Jewish values and practice. Campers and staff participate in tefillah, Shabbat, and ongoing Jewish education. Hebrew is an implicit part of the daily routine, and Israel is a priority focus in programs and activities. Camp Stone is an Orthodox Jewish summer camp located in Western Pennsylvania. Although we are affiliated with Young Israel and the Bnei Akiva youth movement, our Machane provides a truly unique experience that you will find nowhere else. Our vision is to cultivate within every child that walks through the gates of Camp Stone an unwavering lifelong commitment to Am Yisrael, Eretz Yisrael, and Torat Yisrael. At the same time we aim to provide a safe, nurturing, and family-like environment in which we care for our campers’ physical, emotional, spiritual, and educational needs. We identify profoundly with the Jewish people and therefore are deeply grounded in our commitment to Jewish pluralism. At Tel Yehudah, we create an uncompromised Jewish and Zionist experience where our chanichim live holistically within the rich context of Jewish values, culture and time. Our dynamic programs of experiential education, activism and leadership development builds strong Jewish identities grounded in commitments to Jewish learning and pluralism, Israel and social responsibility. Counselors must have completed at least one year of college or equivalent. Offers amazing programs, where you will meet great people from all over the United States and Israel. At CYJ Midwest, the program grows with the campers. As campers get older, CYJ Midwest offers more and more choice for campers about how they spend their days at camp. Younger campers get to experience everything CYJ has to offer. Older campers enter a “track”, wherein they can have a specialized experience according to the following three categories: Media Arts & Drama, Watersports & Sports, and Outdoor Adventure. 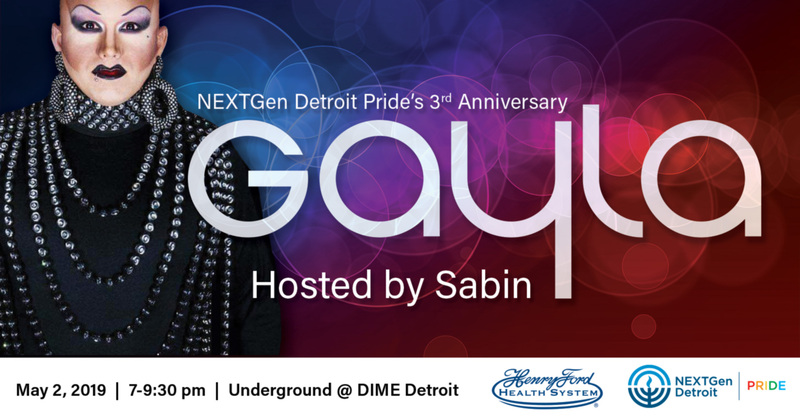 The Jewish Gay Network of Michigan (JGN) is a community encompassing growth, empowerment, and advocacy in the GLBT-Ally and Jewish communities. Kadima is a Jewish mental health agency whose mission is to provide psychological services, residential options, supported employment and social activities on a nonsectarian basis. Kadima also provides public education and advocacy to enhance the quality of life for individuals and their families affected by psychiatric disabilities. The William Davidson Jewish College Loan Program provides interest-free loans to Jewish students from across Michigan for post-secondary study at accredited institutions. WDJCLP’s loans are last dollars in, in that they supply the final funds a student needs to attend school. These loans can be used for study at a college or university, or a graduate school or professional school that leads to a degree or certificate. Chabad House is a home-away-from home for thousands of Jewish Students at the U of M. Chabad anticipates and serves the needs of students on a social, educational and spiritual level. At Chabad, all students are welcome, regardless of background, affiliation, and level of observance. Hold Shabbat Services for students and community members. Hillel puts on Shabbat dinners and student let Shabbat services, High Holy Day Services, Kosher food, Jewish learning with the Rabbi, conversational Hebrew, yoga, Jewish studies, works with traditionally observant students and university housing, and Ann Arbor Eruv. They assist with Birthright registration, alternative spring break options, jobs and internships, Jewish holidays, and various opportunities for leadership and involvement. HMD is a dynamic organization for Jewish college students and young adults (18-29) who live in the metro Detroit area. HMD provides a myriad of programs so everyone can find a place where he/she belongs. 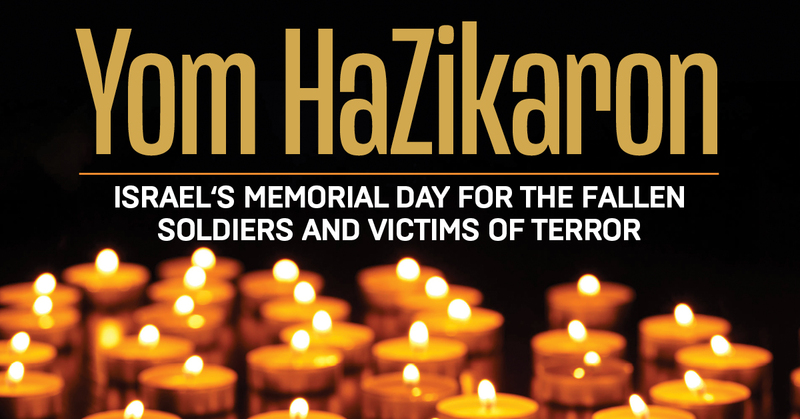 HMD offers opportunities to connect with the Jewish community and other Jewish people through interactive programs, both on the six campuses they serve and in the community. The six campuses include Lawrence Technological University, Oakland Community College, Oakland University, University of Detroit Mercy, University of Michigan-Dearborn, and Wayne State University. Friendship Circle of Michigan is a nonprofit organization with a mission to provide every child with special needs the support friendship and inclusion that they deserve. The Teen Division of the Morrie and Sybil Fenkell Volunteer Club has grown to over 450 young adults ages 14-21. Each volunteer is matched with a child who has special needs. Together, they form a friendship by participating together in one or many of Friendship Circle’s weekly recreational programs. Friendship Circle’s Mitzvah Project (ages 12 and 13): Teaches volunteers how to interact with children who have special needs. Put your talents to work and search the site for the opportunity that meets individual and group volunteering needs that benefit our community. JARC is a non-sectarian, non-profit organization known as a prototype for innovation, high-quality community-based residential support programs, serving nearly 200 adults with developmental disabilities in its group homes and various supported independent living arrangements. There are many ways for teens to get involved, including assisting with monthly JARC BINGO games, planting flowers at a JARC home, visiting the men and women who live in a JARC home and participate together in recreational activities, and more. Don’t know where to find Jewish Volunteer Opportunities in Detroit? Sign up here to find out about Detroit Jewish volunteer opportunities for all. Our service is for Jews of all denominations and ages. Please use the form below to sign up and we’ll let you know when Jewish volunteer opportunities come up for your age and interest. Bringing together teens — from all denominations, youth programs, camps, congregations and schools, as well as those who are unaffiliated — for the purpose of Tikkun Olam. Giving teens opportunities to make lasting connections with individuals, initiatives and institutions throughout Metro Detroit. Facilitating teens’ service to agencies and individuals in Metro Detroit’s Jewish and general communities. In collaboration with its partners, J-Serve promotes community service as a year-round initiative by encouraging Jewish teens to perform ongoing service individually, with their family and friends and with their school, youth group, congregation or camp. PeerCorps is a niche program structured to be an immersive, team-building experience where B’nai Mitzvah students connect with Jewish high school students who work with them to complete about 20 hours of community service. The program follows the school calendar. Mentors are assigned for the year to one of five service sites in the city; mentees commit to a three-hour session twice a month for a cycle of two and a half months. Summer in the City strives to improve and expand community service in Metro Detroit. By bringing a diverse group of young people together to invest their energy in Detroit. Summer in the City programs address the immediate needs of city neighborhoods and foster a regional mindset. Assist in the warehouse packing and sorting food, assist with special projects, and participate in packing Healthy Snack Packages. It is requested that parents accompany teens under 16. Older teens can assist clients. Bnei Akiva is at the forefront of Religious Zionist education for youth, by youth. We base ourselves on the principles of Torah v’Avodah, we encourage aliyah, love of the Jewish people, and love of Israel. Today, HDNA is an autonomous Progressive Labor Zionist youth movement whose members strive for the concrete expression of its values in their own lives and in society. As North America’s Reform Jewish Youth movement, NFTY strives to provide meaningful and engaging youth experiences for teens. NFTY’s heart and soul is the local URJ synagogue Temple Youth Group (TYG). While each local TYG differs in organization, focus, size, and character, the Temple Youth Group is the outlet for the highly engaged Reform Jewish teenager in a URJ Synagogue. While some TYG’s only meet 5 times a year for social programs, many TYG’s meet over 20 times each school year and offer a full variety of social, leadership, educational, and social action programs. Jewish Student Connection is a national non-profit organization dedicated to establishing non-denominational Jewish clubs in public and secular-private high schools. JSC provides a portal for deeper involvement with the Jewish community and empowers students to explore what Jewish means to them. We connect students to countless opportunities to continue their Jewish journeys, and help students create a safe space in their schools for honoring differences and making Jewish connections. Find us on Facebook @Jewish Student Connection Detroit/Ann Arbor.